When is a theater announcement more than just an announcement? When Proctors and Capital Repertory Theatre get together and present their 2016-17 KeyBank Subscription Series to the public in grand fashion. 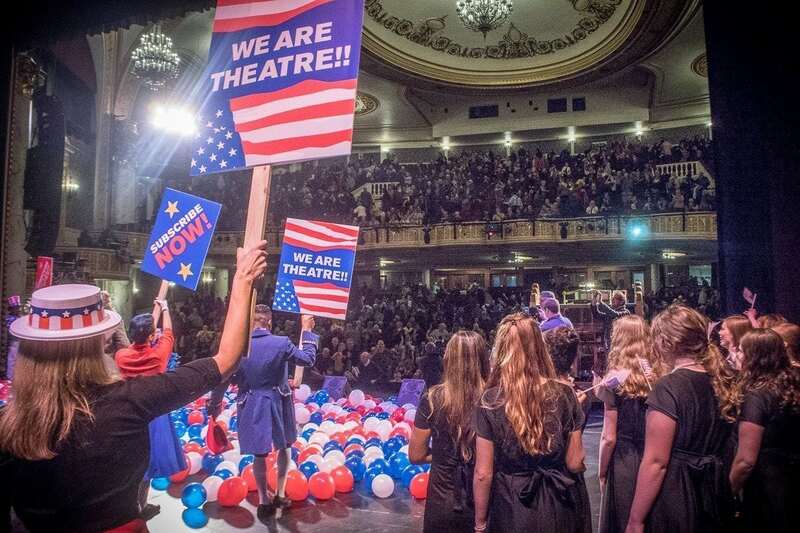 This was more than just a presentation of 13 musicals, it was an event and a spectacle featuring performances from some of the shows that will grace stages in Albany and Schenectady in the coming year. Presenting the lineups for each venue in a mock debate, Proctors CEO Philip Morris and theREP’s Producing Artistic Director Maggie Mancinelli-Cahill kept the audience laughing and cheering as they rolled out the Broadway shows that will come to the Capital Region for the first time, some on their first national tours. John Gray and Kydia Kulbida from WTEN offered commentary from the stage left upper box and kept the show flowing in between each well received announcement. Proctors’ 2016 schedule includes the four-time Tony Award winning production An American in Paris, which will be seen for the first time outside of New York and Paris in October 2016. Dirty Dancing – The Classic Story on Stage arrives in November 2016, followed by The Curious Incident of the Dog in the Night-Time, which tells the tale of an autistic boy accused of a crime and his struggle to communicate his innocence, also in November 2016. The first national tour of musical comedy Something Rotten! makes its way to Proctors in January 2017, followed by the Broadway blockbuster Wicked in March. The beloved story The Sound of Music is next in April 2017, while Roundabout Theatre Company brings Cabaret to Proctors in May 2017. Among the most anticipated shows, which also received the largest applause, was Beautiful – The Carole King Musical, coming to Proctors in April 2017 for a limited engagement. Sara Sheperd performed two selections from the musical, “Will Your Still Love me Tomorrow” and “(You Make me Feel Like) A Natural Woman” to great fanfare. Capital Repertory Theatre will offer a combination of classics, musical biographies and world premieres, including A Night with Janis Joplin, Outside Mullingar, NEXT ACT 5! New Play Summit, Camelot, Reluctant Wingman and An Iliad. 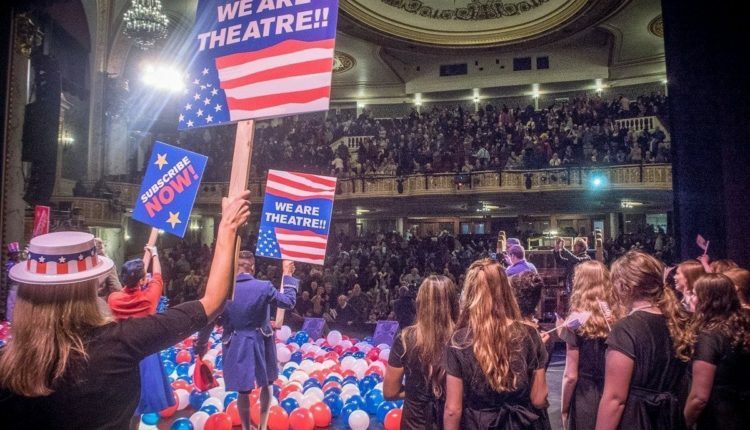 By the end, when the stage was festooned with red, white and blue balloons, there was no question that Proctors and Capital Rep will bring a phenomenal lineup of musical theater to The Capital Region well into 2017.